On a small island, the longest length is less than 150 km and is the only Hindu society in Southeast Asia. 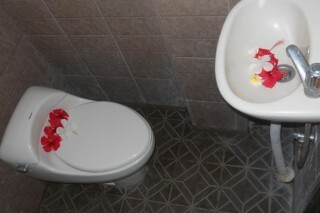 It has 3 million inhabitants, who are very friendly to visitors. For residents of Bali they are an integral part of their religious life, and every day you meet with various Hindu ceremonies accompanied by colorful floral offerings, gifts and fragrance of incense sticks. 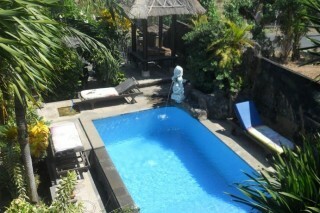 Our Property is located Amed, a peaceful and calm area. vary close to the beach where you can see it from the our place. 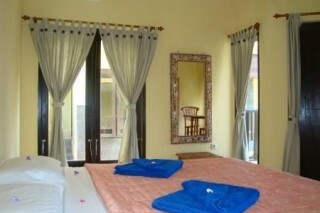 Conveniently located in Bali, the Home Stay is a great base from which to explore this vibrant city. From here, guests can enjoy easy access to all that the lively city has to offer. Also within easy reach are Amed Beach. Modern comforts such as internet access – wireless (complimentary), non smoking rooms, air conditioning, balcony/terrace, blackout curtains can be found in selected rooms. The home offers fantastic facilities, including outdoor pool, fishing, spa, massage, garden, to help you unwind after an action-packed day in the city. When you are looking for comfortable and convenient accommodations in Bali, make the Home Stay your home away from home.